Makeup is one of my passions. I can be doing my makeup for hours, taking my time with every little detail whilst watching some videos or listening some really nice music. 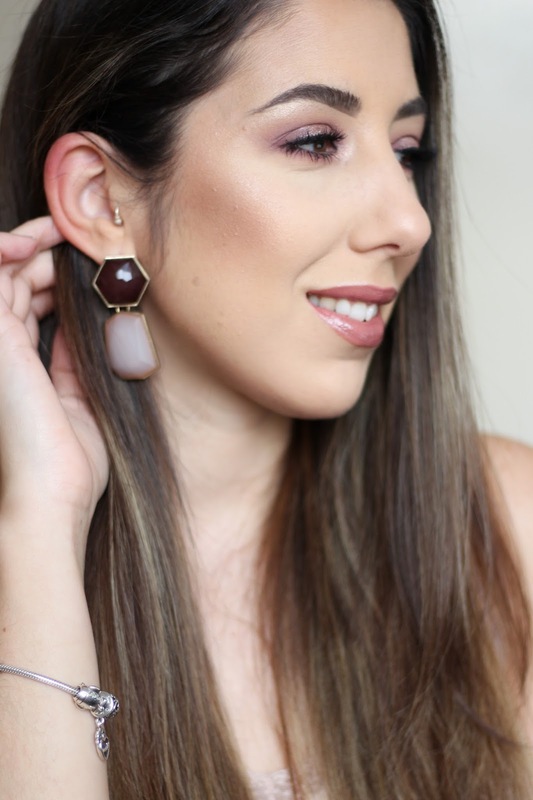 There are days that even though I am not going anywhere I fee like playing around with makeup and seeing where things go – and that is what this post is about – a look that a did on a day I felt in the mood to play with makeup. It is so easy to always go for a “go-to makeup look” when we have somewhere to go because we know it will look nice and that we like it. I always go for a bronzed smokey eye and sometimes it gets boring. 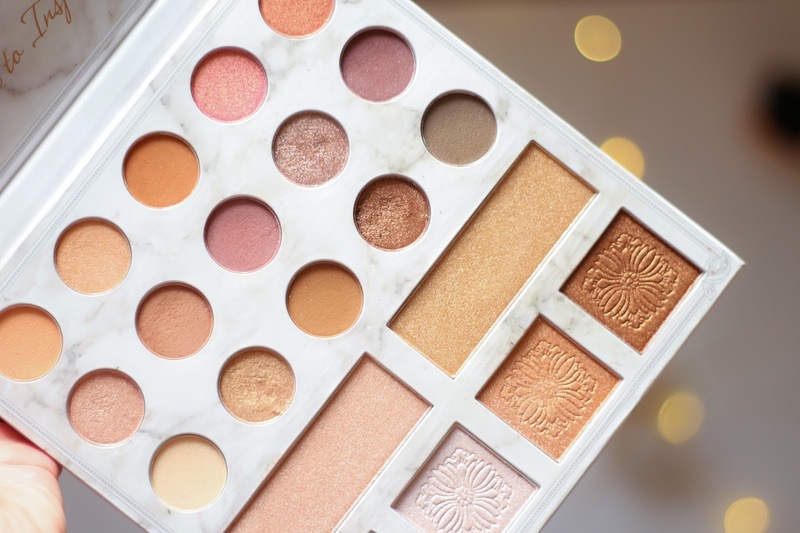 Having this time to play around with the palettes I have helps me be a little bit more creative and will give me many more options when I am getting ready in a rush. 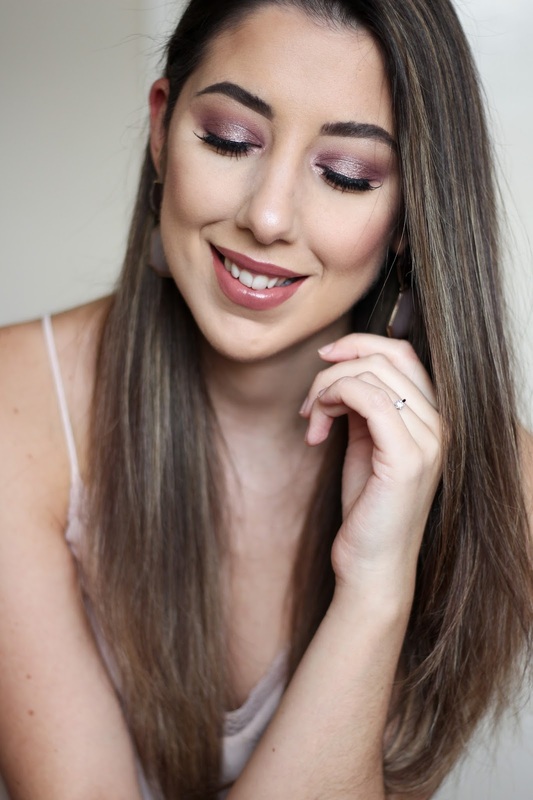 This time, I decided to play around with the BH Cosmetic x Carli Bybel Deluxe Palette and this is the look I came up with – a beautiful mauve halo eye that I find to be perfect for Valentine’s Day that is just around the corner. 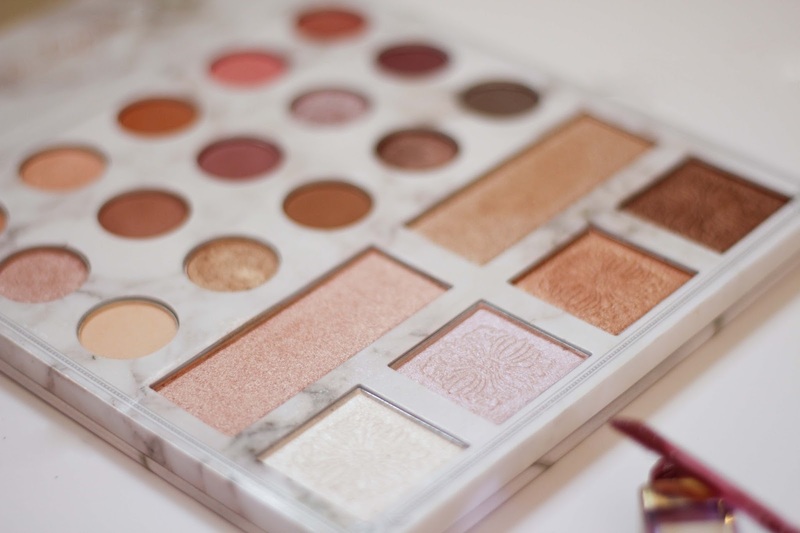 This palette has a total of 21 shadows, matte and shimmer that have great pigmentation and nice variety of colours. 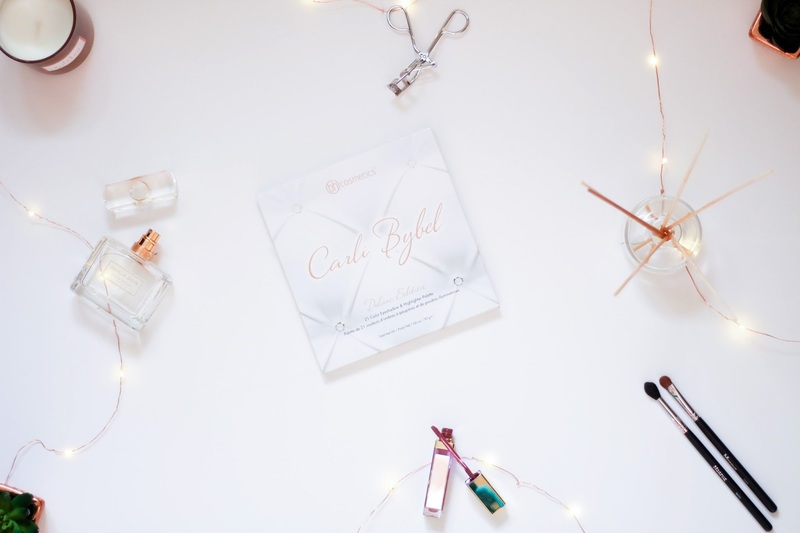 The top three rows are regular eyeshadows that blend like magic and are very buttery. There is a little kick back when you dip the brush but nothing I can’t get over it. The mattes are absolutely stunning and the shimmers are so pigmented and creamy, I absolutely adore it. The last two rows are mainly to be used as highlighters but, to be honest, you can go ahead and use them as eyeshadow if you feel like it. They are all so, so beautiful! For today’s look, I wanted to create something using the second row – a mix of shadows with a mauve undertone I would say. When looking online, there weren’t a lot of videos with looks that I actually liked using this palette and so I thought I would share what I did with you, maybe to inspire you a little bit. I love halo eyes. it is probably my favourite of all the eye looks we can do. I feel that it compliments my eye shape really well (whatever my eye shape might be!) and it just makes my eyes look bigger, what I think it is very flattering. For this look, I used mainly 4 eyeshadows from the palette and I have to say I was in love and gutted I wasn’t actually going to leave the house. I did try to convince my fiancé to take me out for dinner but he wasn’t having it. Anyway, to start with, I applied the second shade on the second row as the first transition color. It was the perfect shade to use as a base for the look. To define the crease a bit more, I went ahead with the third color and slowly started to deepen out the crease. I have learnt the bad way that it is always easier to build the color gradually to the intensity that you want and that is what i did. I applied this shadow all over my crease. Don’t worry if it goes on your lid too much, we will be cleaning that up with some concealer. I then decided to darken the look to make it a bit more intense. This wasn’t a crazy makeup but I wanted it to be noticeable so I applied the last shade in the second row with a smaller brush to my crease, dragging it to my inner and outer corner of my eye. It is important to keep the center of the lid as clean as possible as that is where we are applying the shimmer. Apply the eye shadow gradually until you are happy with the result. Blending is the key to a perfect halo eye. You don’t want to end up with a straight line separating the matte from the shimmer eyeshadow. Once you are happy, grab a small concealer brush and apply some concealer to the center of the lid. This will create an even base to apply the shimmer eyeshadow. Apply little concealer at a time and make sure you cover everything you want so it is all even. Drag the concealer a bit to the sides so it helps blending the shimmer with the matte eyeshadow. Done with the concealer, it is time for the fun bit: the shimmer eyeshadow. As I said, I wanted to do a mauve/purple halo eye (I’m not great describing colors really) and so as shimmer, I went for the fourth eyeshadow on the second row. Feel free to use a wet brush to do this but I didn’t think it was needed. So apply the shimmer eyeshadow to the center of the lid once the concealer is dry. Doing this trick with the concealer really helps with making the shimmer shadow look a bit more intense, I love doing this. Take your time to make sure everything looks perfect. When I first started doing halo eyes, it wouldn’t always look right. The blending was never easy but I think i have mastered the technique and it was all with a bit of practice. Once the shimmer eyeshadow is in place. you can go ahead and do your lower lash line. I applied the same matte eyeshadows as on my upper lid, in the same sequence. You want it all to be seamless. With all that done, go ahead and highlight your inner corner and brow bone. To do so and keep the look all together, I used the second shadow on the last row of the palette. It is a beautiful highlight with some pink and silver that looks perfect on the skin! I have not only applied this to my brow bone and tear duct as well as to the hight points of my cheeks. I loved it! For lipstick, I used a combination of the L’Óreal Paris Color Riche in 630 beige à Nu combined with the Gerard Cosmetics Lipgloss in Plum Crazy for the perfect shade. And with this, the whole look is done. It is all very simple and it doesn’t envolve a lot of shadows what makes it really practical. For lashes, I used the L’Óreal Lash Paradise Mascara to both upper and lower lashes and I have also added on my beloved Ardell Demi Wispies falsies. They are beautiful lashes that give you a much fuller and elongated eye. I love them. As per my face routine, you can read it all on my “Updated Everyday Makeup Look” that I published last week. I have used exactly the same! And there you have – a perfect halo makeup look. 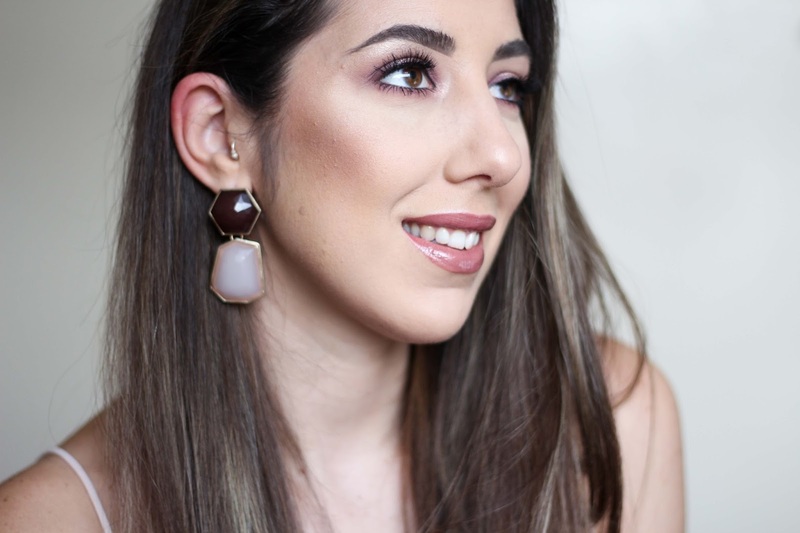 I know that a blog version of a makeup tutorial isn’t always the best option but it is one of the posts I love doing the most. I am in love with this look and will definitely be rocking it as soon as I can. If you have any questions about it or on how to recreate it, please just ask on the comments below and I will happily reply.